Make your little one's first sleep over one to remember. 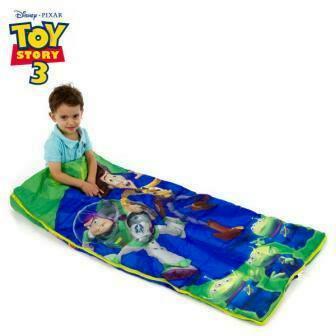 Lightweight child sleeping bag styled with Buzz, Woody and friends. 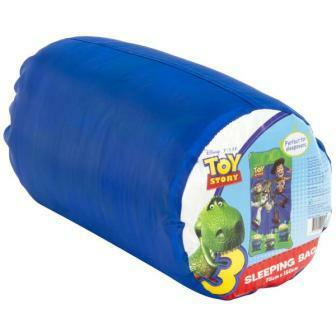 No more sleeping on the ground at sleepovers or whilst camping. Constructed from: Cover: Polyester | Lining: Polyester-cotton | Filling: hollow fill fibre.